Bali is one of the most popular tourist destinations in Indonesia. Whether you want to explore the beaches, are a wildlife enthusiast or a lover of art, Bali is ready to give you the ultimate treat. 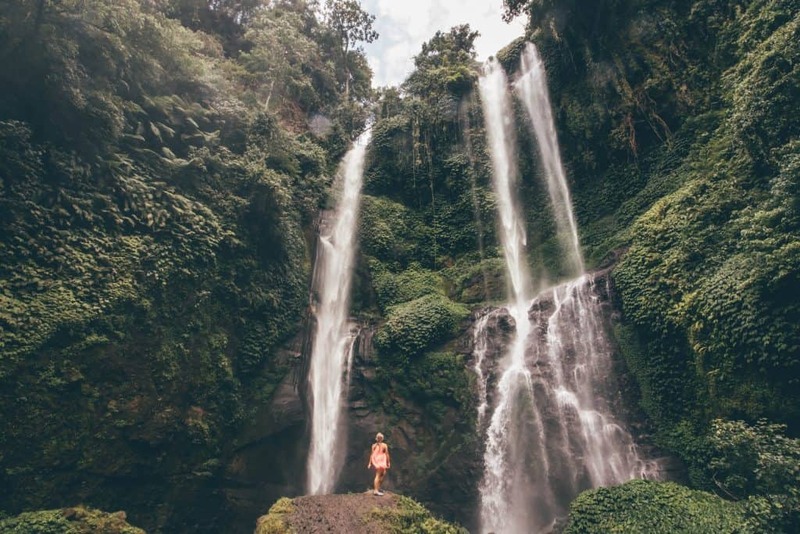 We just spent the last few weeks exploring the best that Bali has to offer. While it’s not the unheard of, exotic destination that it once was it still has a lot to offer visitors. Although it’s an island, there are so many regions to travel to. Each is great for something specific. We found our home in the cultural center of Ubud, but many may find happiness surrounded by other digital nomads in Canggu or partying in Kuta. There’s plenty to do in each region with great places to stay. So if you’re looking for the best area to stay in Bali, plus where to stay keep reading. Don’t forget the best things to do in Bali when you’re done. 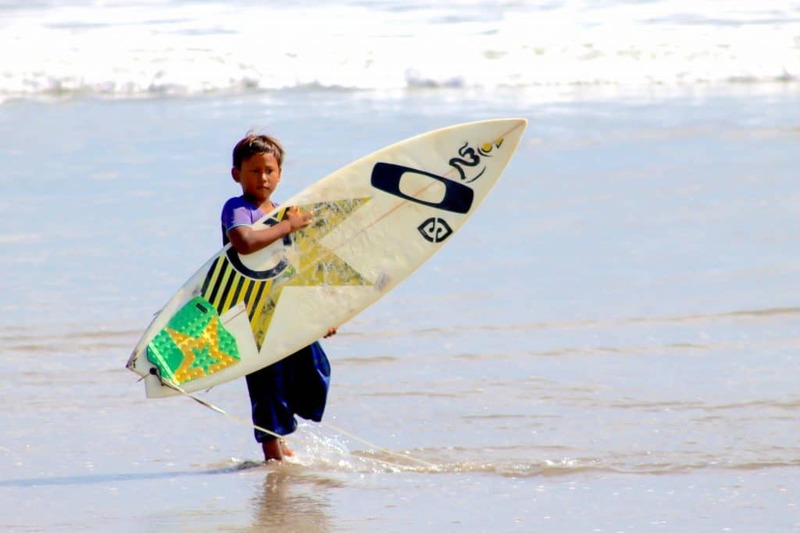 In the heart of southern Bali lies crazy Kuta, a former fishing village turned tourist mecca. Renowned for its long sandy beaches, Kuta has the most inviting waters that attract people from all over the world. Lined with beaches, Kuta is the top travel destination for surfers from Australia, due to its proximity and cheap prices. Its waters are a dream location for carving up the waves. Aside from the beaches, there are endless hot spots and bars that draw in young tourists who are after a party night after night. Yes, every night is a party here so if that’s not your thing I would suggest steering clear. Legian – the commercial hub of Kuta – is home to the most entertaining bars, hotels, and pubs; here, you can party until sunrise. At Jalan, there is unlimited fun; you’ll find bars like the Bounty Discotheque and Sky Garden rooftop lounge, among others. Kuta is close to Ngurah Rai Airport in Bali, so you can enjoy a few drinks directly after your long flight to Bali. Whether you’re an adventure seeker or a beach enthusiast, there’s always something in store for you at Kuta. Kuta’s beaches have great waves for surfing, with visitors from Australia flocking to the sands annually. If you want to give it a go, here’s your chance; there are numerous local surfing schools that are willing to teach you the ropes. Make sure to visit Waterbom Bali, that’s where all the fun is. You can also go skateboarding or learn how at local skating schools. There are many other fun things to do here, like get a view of Kuta from a helicopter, board a submarine to the deep blue sea, visit the abandoned aircraft in the middle of nowhere, go shopping at the famous Beachwalk shopping mall, get to the Genuinely Fake Shop to buy 100% fake stuff, take a ride along Bali’s toll bridge, and drive in vintage cars around Kuta. Feast your eyes: take pictures of 3D art at the Dream Museum Zone Bali. Just three minutes away from Kuta beach, Yan house Hotel is a home-away-from-home at the most affordable price. The rooms are cozy, clean and spacious; the staff are friendly and its location is superb. It is just a short distance away from major tourist spots in Kuta and you’ll be glad you stayed here. A lot of customer reviews say it gives you the best value for money compared to other properties around. The Anvaya beach Resort hotel is a seven-minute walk from the beach. Its twin-rooms are a great location for a perfect view of the shoreline. There’s a private pool, garden view rooms, and balcony view rooms. The Anvaya beach Resort is a great place for shopping and is just right for nightlife since it is located in the heart of Jalan. It has cozy beds that are ideal for a proper night’s rest after all the sightseeing. It is ideal for outdoor eating and gives you great value for money. The Stones, Legian is the perfect spot to spoil yourself with luxury when you visit Kuta. There are ocean views in its deluxe rooms, a free valet service, and free wifi, among other facilities. It is in the heart of Kuta and just a short distance away from the hot spots. You have the opportunity to get the best spa experience here. Located in central Bali, Ubud is the perfect location for religiously-inclined visitors because of its numerous temples. It is the cultural hub of Bali and the heart of its history. A visit to the hot springs of Tirta Empul, the peaceful waterfront dance at Puri Saren Agung, and the colossal stone monuments at Puri Gunung Kawi are must-dos when you come to Ubud. If you want to see Ubud at its best, stay away from town. The city is bustling with traffic and noise at every corner. However as soon as you get away, you’ll realize why Bali is so wonderful. Rich forest vegetation and nature at its best await you and a stroll through the rice fields can transform your day. 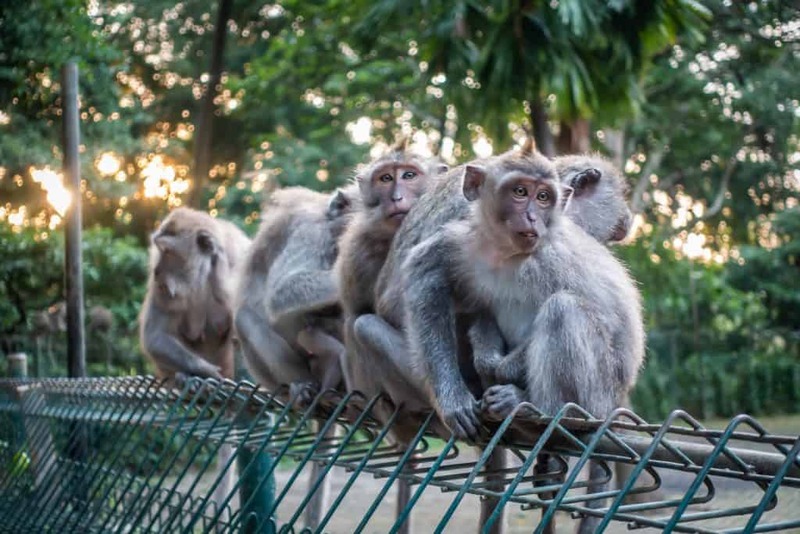 The undulating green valley through the Ridge Walk of Campuhan and a visit to the Monkey Forest are just a few of the fantastic things to do in Ubud. Don’t miss out on the mouth-watering dishes at the restaurants nearby. We stayed here for a few weeks and ate very well and healthy. Whether you are on a budget or in search of luxury, Ubud is always ready to give you the best experience. How would you have a complete stay in Ubud without a visit to the infamous Monkey Forest? The Bliss Ubud Spa and Bungalow is a place where you can get luxury and tranquillity on a budget. The interior is beautifully decorated, with wooden floors and furniture and an extra spa treatment. There are indoor pools where you can cool off and stay away from the heat. The view of paddy fields from the comfort of your room is an amazing scene you won’t find in any other place at this price. Bliss Ubud Spa and Bungalow is pure bliss on a platter of golden sun. If you want a smattering of luxury while you enjoy the hidden gems of Ubud, The Mansion Resort and Spa is the place for you. The beautiful Balinese art will keep you fascinated as you practice yoga. The rooms are spacious and there’s a lot of outdoor relaxation to keep you busy. Buried in the scenic and sacred region of Kedewatan in Ubud, The Royal Pita Maha has an atmosphere embedded in divine history. It is the place you want to be if you are a lover of lush, scenic, yet exotic destinations. This is hands down one of the best places to stay in Bali for couples. A night in the Royal Pita Maha will leave you longing for more; you can never get enough of the luxury treatment and pampering. Enjoy the beauty of Ubud from up here in Kedewatan. Denpasar — the capital of Bali — is the hub and gateway to the island. Its many attractions make it a site for tourists. 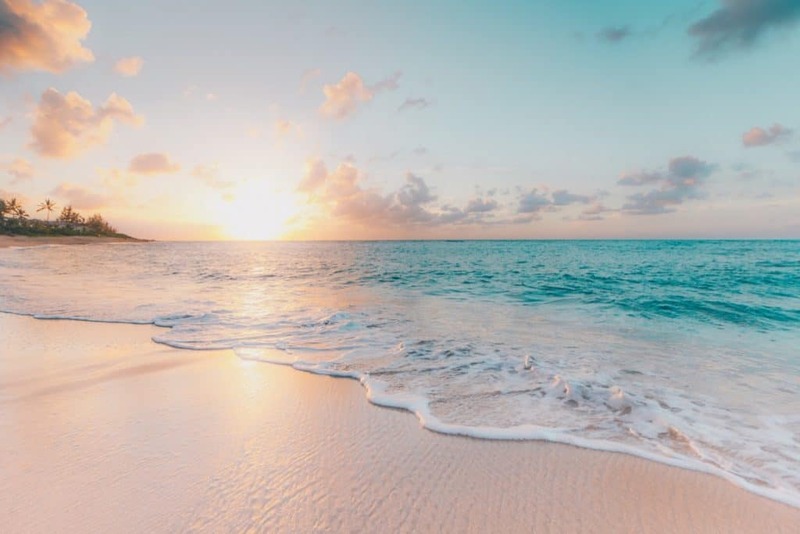 The white sandy beaches have earned popularity all over the island. It is home to the still waters of Sanur beach, superb for kite surfing and sunbathing. Serangan Island is infamous for surfing across Indonesia. Denpasar is rich in all kinds of art and handicrafts, including pottery, textiles, silver and its famous batik cloth. The Bajra Sandhi monument, Pura Jagatnatha temple, and Bali Museum are major attractions of Denpasar. Finally, enjoy the best of Balinese meals in Denpasar restaurants. The Grand Mirah Boutique Hotel is located 300 meters from Bali Museum. The rooms are comfortable and spacious. The staff are kind and will give you a warm welcome when you arrive. It is only a 45-minute drive from the international airport. There are giant, comfy beds for extra relaxation. Quest San Denpasar is a great place if you want luxury at an affordable price. It has a balcony view in every room so you can gaze upon beautiful sunsets and sunrises. Rooms are spacious, with good lighting and superb services. It is a 35-minute drive from the airport with Seminyak Beach, Potato Head Club, and Kuta Beach are just 25-minutes away by car. The service is superb and it’s a great place to experience Denpasar from. 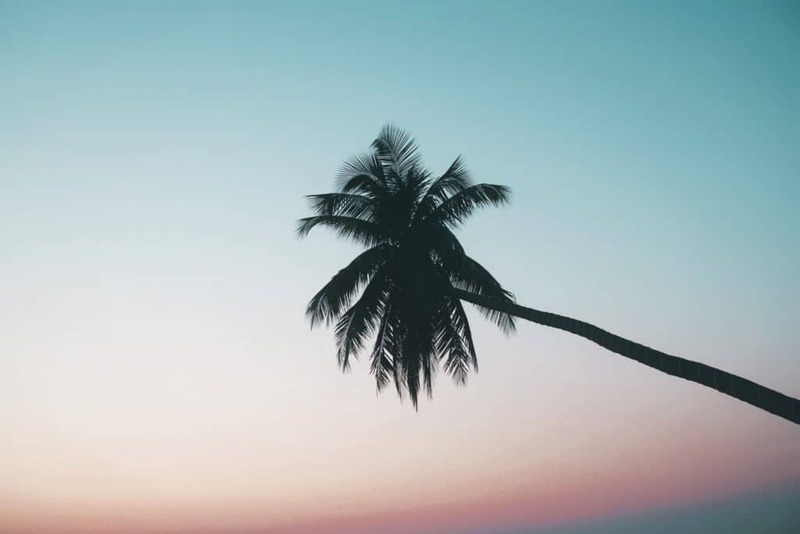 Lying to the north of Legian and Kuta, the scenic, glamorous resort area of Seminyak is beautifully decorated, with sandy beaches ideal and enthralling waves for surfing. It is great for adventure and romance as well. The oceanfront events at the Petitenget temple are an enchanting site you won’t want to miss. The variety of Balinese art in the art galleries of Seminyak is a must-visit for every tourist in Seminyak. Since you are now in Bali’s first shopping area, be sure to shop for souvenirs and the latest couture fashion in Bali’s designer boutiques. Horison Seminyak Bali is a place you can stay in Seminyak where you can take part in many activities. It is just a 30-minute drive from Ngurah Rai international airport and a short walk away from the major beaches and clubs in Seminyak. The rooms are comfortable and the service is well noted. Villa Flora Seminyak is the perfect location for a families in Bali. The villa has a private pool, three bedrooms, three bathrooms, a kitchen, and everything you’ll need for a fantastic stay. 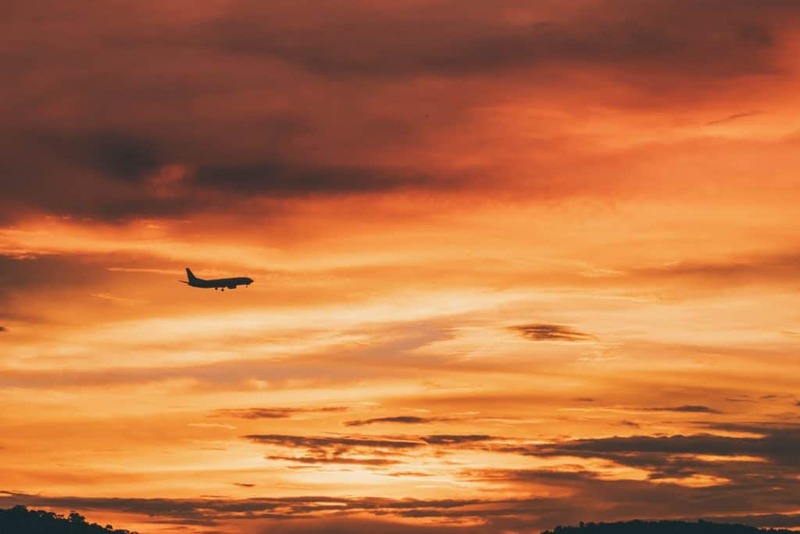 It is seven kilometers away from the Ngurah Rai International airport and not so far from the shopping center, Ku De Ta, and Ultimo restaurant. If you want to be far away from the crowds, this is the ideal place for you. The Double – Six, Luxury Hotel hotel is only a 1 minute walk to the beach and the pools even overlook the coast. It is the perfect location to experience the best of Seminyak in style and one of the best places to stay in all of Bali. In the southwestern area of Bali, Uluwatu rises above the waters, housing the surfer’s hidden treasures – massive waves. It is well known for its colossal waves that are the best on the island. It is home to Uluwatu Temple that continuously protects Bali from harm. The beaches in Uluwatu are untainted, teeming with vigor and life, and are considered some of the best on the island. If you are in Uluwatu and you don’t try any of these, you’re missing out. View the blue waters of Suluban Beach — also known as Blue Water Beach. Le Grande Bali is a well known hotel with the good service and food. There is a spa, outdoor pool, and tennis court. It is 15.5 km away from the airport and 20 kilometers away from the famous Uluwatu Temple. The rooms are spacious and comfortable. Radisson Blu Bali Uluwatu is a top-notch hotel in Uluwatu. It is just 10 kilometers away from the airport and offers a free shuttle service. 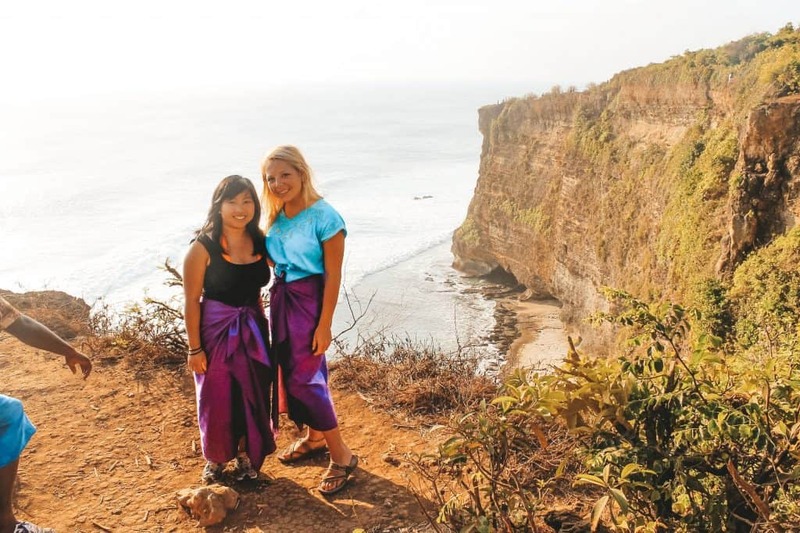 It is a short drive from Uluwatu Temple and Suluban Beach. Suarga Padang Padang is just a 2 minutes walk from the beach, and set on a majestic 220 meter cliff. It’s definitely got that whole epic viewpoints things going for it. They pride themselves on being a sustainable boutique resort who truly cares about the precious Indonesian environment. 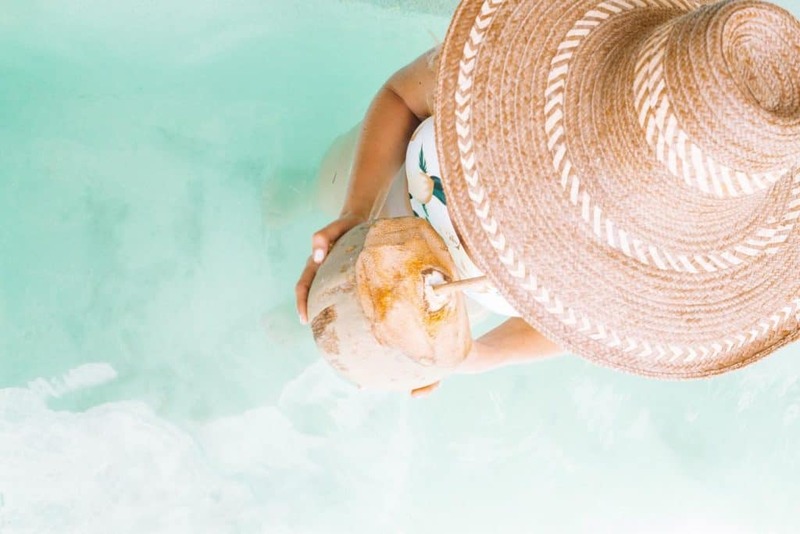 Canggu is a beach town teeming with tourists and digital nomads. It is a lush beauty, speckled with the greenery of rice paddy fields. Its beaches have first-rate waves, ideal for surfing. If you’re a learner, Canggu has Echo Beach instructors that are willing to help you learn faster. 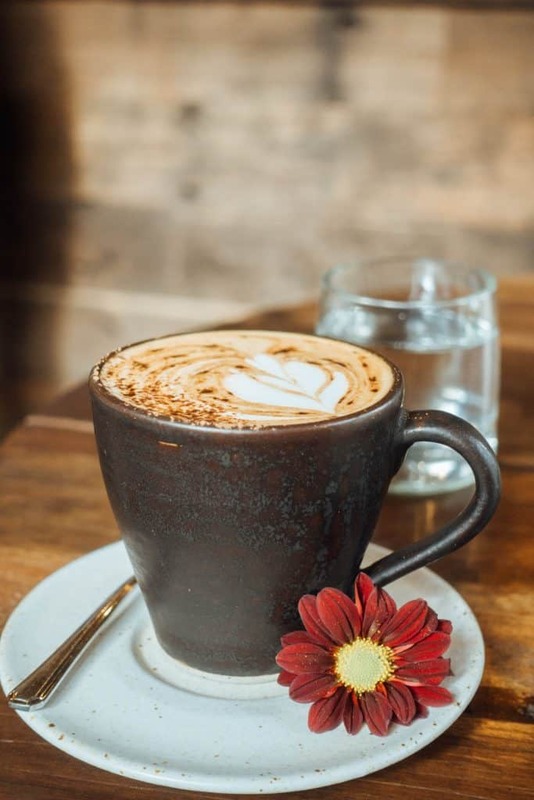 Canggu is home to coffee shops, roadside cafes, burger spots and other food shops with healthy menus. Fruits, fresh fish, and vegetables are the staples of the Sunday market; jewelry, handicraft and other artwork are also available. Canggu is the “new” cool spot, where you’ll spot more tourists than locals. It’s always rush hour, so give yourself plenty of time to get from place to place when you are exploring. Koa D Surfer Hotel is located 15 kilometers from Ngurah Rai International airport. It is comfortable and gives you great value for money. Berawa Beach is just a short distance away. This is a good location for couples to have time-out and is ideal for a one-night stay. Regali Villa is an exquisite resort that gives you a tropical treat with a pool and spa. It is just 11 kilometers away from the international airport and very close to the beach. The Haven Suites is 10 kilometers away from the international airport. It offers the best services and gives you top-notch facilities and treatment. There is a balcony and pool view and it is 900 meters from Batu Bolong Beach. Nusa Dua houses a collection of international chain hotels facing the Nusa Dua beachfront. It is the most developed resort area in Bali, with distinctive landmarks surrounding the glittering white sands. Nusa Dua is the perfect spot for newlyweds to have an idyllic honeymoon. Embedded in Nusa Dua are museums with a rich history, temples, and exotic resorts with kid’s clubs. It is the perfect beach resort for families looking for where to stay in Bali. Kubu Garden is a fascinating place with a large garden and gazebo. It is simply unique and offers you a balcony and garden pool view. It is a 10-minute walk from Tanjung Benoa Beach and Basuka Watersports. From the international airport, it only takes 40 minutes to get to the property. It’s a great place to eat out; the service is amazing, the facilities are wonderful, and you will surely enjoy your stay for the price. In addition to world-class facilities, Bali Tropic Resort and Spa offers spa and wellness services as well as billiard facilities. It is a 25-minute ride from the airport and is close to Nusa Dua Beach. The hotel offers a variety of water sports and games that will keep you entertained. The Hilton Bali Resort is a six-minute walk from Sawagan Beach and offers a variety of entertaining games for adults and children alike. There is a Jungle Kids Club and fitness center, a tennis court and a golf course just three kilometers away. Shuttles are available to take you to the Bali Galleria and Bali Collection. Jimbaran is a coastal resort in Bali well known for its fishing. Calm waters lining a long beach characterize the bay, making it just right for fishing. Fish restaurants surround the bay that is speckled with colorful boats at the northern end. The Kedonganan fish market is rich in different varieties of fish. Dreamland and Balangan Beaches with their massive waves are always popular with surfers. The Balangan Seaview Bungalow is a compact, affordable space that offers you a tropical experience in the midst of a lush landscape. It has a spa, outdoor pool, and billiard facility. It is just 25-minutes away from the international airport and a great value for money. Watermark Hotel and Spa is a 10-minute drive from the airport. It is the center of all the tourist activities as it is close to the beaches and attractions. It offers luxury services with a spa, a private pool, and a view. The Rimba Jimbaran Bali by Ayana is 20 minutes away from the airport and offers a spa and wellness center, alongside other facilities. It also offers a unique dental service. A free shuttle service is provided to the shopping center and Ayana Resort and Spa. Located in East Bali, Amed is home to a coastal patch of fishing villages. Free-diving, snorkeling, and yoga have made it very popular among tourists. Its scenic surroundings framed with towering volcanoes and lush greenery are just the perfect definition of nature’s untainted beauty. Dwarfed by the ever-impressive volcano, Mount Agung, the beaches curve beautifully around the coastline, but the waves are gentle and provide the perfect environment for paddle boarding and fishing. 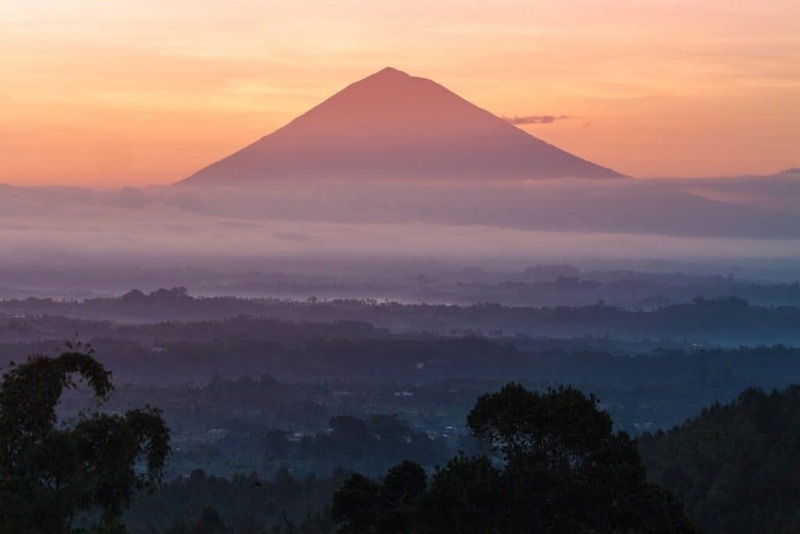 Mount Agung erupted in late 2017, causing the evacuation of hundreds of thousands of locals from its slopes. Although it has calmed down considerably, trekking is still banned here, although nearby Mount Batur offers similar spectacular views. Amed Sunset Beach is a serene, tropical experience and is perfect for a weekend getaway. It is a great place to eat out and only 70 kilometers from the airport. Blue Moon Villa Resort is the perfect place for honeymoons. It is perfect for an eat-out, and it is only 72 kilometers away from the airport. The service is chic and this is a perfect place to experience nature at its best. Onlyou Villa is a three-hour drive from the international airport. 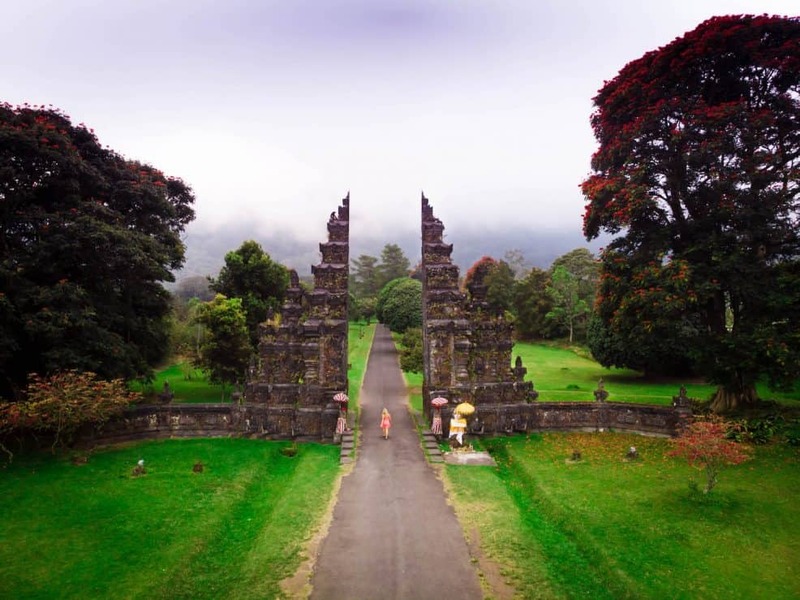 It is a 30-minute drive from Tirta Gangga Water Palace. It has a patio, balcony view or mountain view rooms and a private pool. Sanur is where you will find the serene and quiet beaches that are perfect for a weekend getaway. 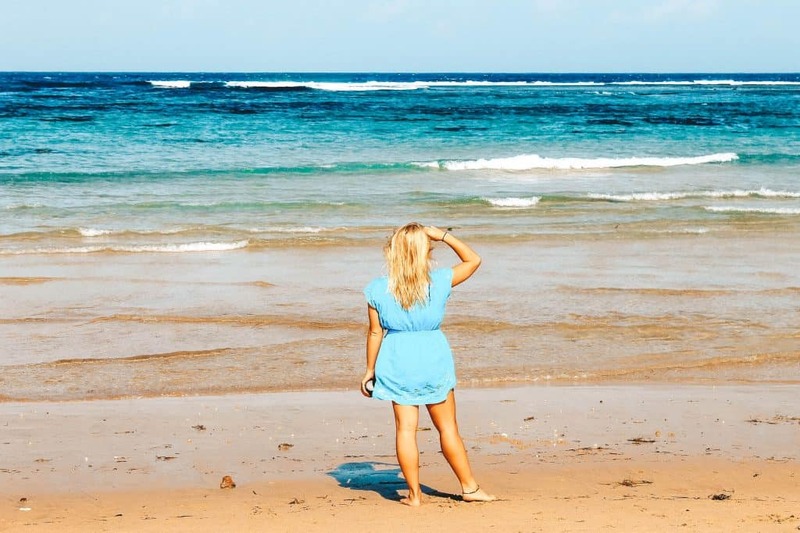 Found on the eastern coast of Bali, Sanur is a resort that promises relaxation and fun. You can find historic hotels, restaurants, cafes, and classy cocktail bars, among others. You can take a stroll along the paved boulevard stretching along the shoreline. Here in Sanur, you will find cultural and historical attractions of Bali, ranging from the ancient Prasati Blanjong stone pillar to the international kite festival of Bali, which is held annually. Don’t forget to visit the Museum Le Mayeur, formerly owned by Adren Jean Le Mayeur de Merpes. Sanur Art Villas boasts a spa and restaurant in addition to its enchanting art collection. It is close to Sanur and Semawang beaches. You can enjoy fishing, golfing and boating from your hotel. It is a good place for relaxing after all the daily jostle. The Alantara Sanur is 11 kilometers away from the international airport and promises a lot of fun. All the rooms have a patio, terrace, garden view, air conditioning, and private bathroom, for the most comfortable experience. It is close to Mertasari Beach and other interesting places to visit in Sanur. It promises an amazing experience. Segara Village Hotel is a classy hotel with the best facilities and is only 40-minutes away from the airport. You can join a cooking class or local market tour. It is close to Sarang and Kegara Beaches. There is a games room, a tennis court, a library, and other facilities to give you the best experience you can’t forget in a hurry. Any trip to Bali will start and end at Ngurah Rai International Airport in Denpasar. We arrived late at night and had to depart early in the morning. We stayed at Grandmas Airport Hotel and enjoyed our stay. A large portion of our time in Bali was spent in Airbnbs, and not always hotels. The island has many Airbnb accommodation options for everyone. Get $35 here! Water: The tap water in Indonesia is not drinkable. Make sure to bring a travel water bottle and fill up from the large tanks which can be found almost everywhere. Indonesia and Bali have a huge plastic waste problem so try your hardest not to contribute to it. One of our favorites is the Lifestraw Go. Packing: It can get real dusty riding around Bali on a motorbike. Wearing a buff will protect your face from all the dirt. Read and Watch: Eat, Pray, Love.